Born With Seoul offers two different staples of Korean cuisine as well as the perfect compliment to every Asian inspired dish – sesame seeds. 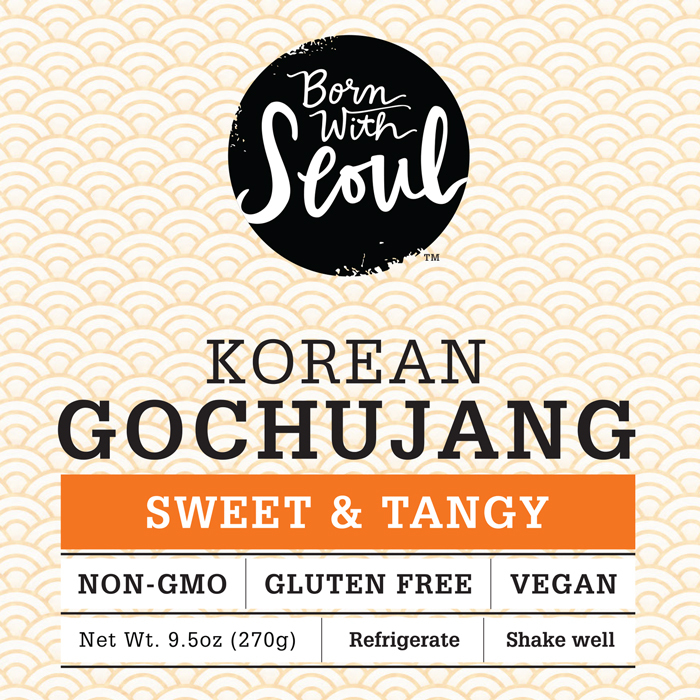 Red peppers, fermented soybeans and a lot of love are what give our Gochujang its unique flavor. The recipe was passed down from Korea to Kansas City and now, the flavors are passed on to you. Use it as a sauce, a marinade or just eat it by the spoonful. We won’t judge you. We’ll join you. Say it with me: buul-GOH-ghee. Bulgogi is a mouthwatering mix of garlic, onion and soy infused with a pear / ginger combo that’s topped with a peppery kick. Not only is it a spectacular marinade for beef, pork and chicken, it's also a great dip for potstickers, egg rolls, dumplings, and just about everything that's considered edible. Some say it's milder. But others know it just packs a different kind of punch. Use it as a dip for veggies or as a salad dressing. It will still make people cry - for more. Bulgogi truly is a diverse sauce that can deliver a great savory punch to any meal. No matter if you’re grilling, pan frying or baking, our bulgogi sauce is delicious as a marinade for beef, chicken, and pork. But that’s only one half of this sauce’s talent. It also pairs fantastically well with dumplings, pot-stickers, stir fry or just about anything edible. For an infusion of subtle smokiness and crunch, Born With Seoul Toasted White Sesame seeds turns a pretty good into a pretty great. 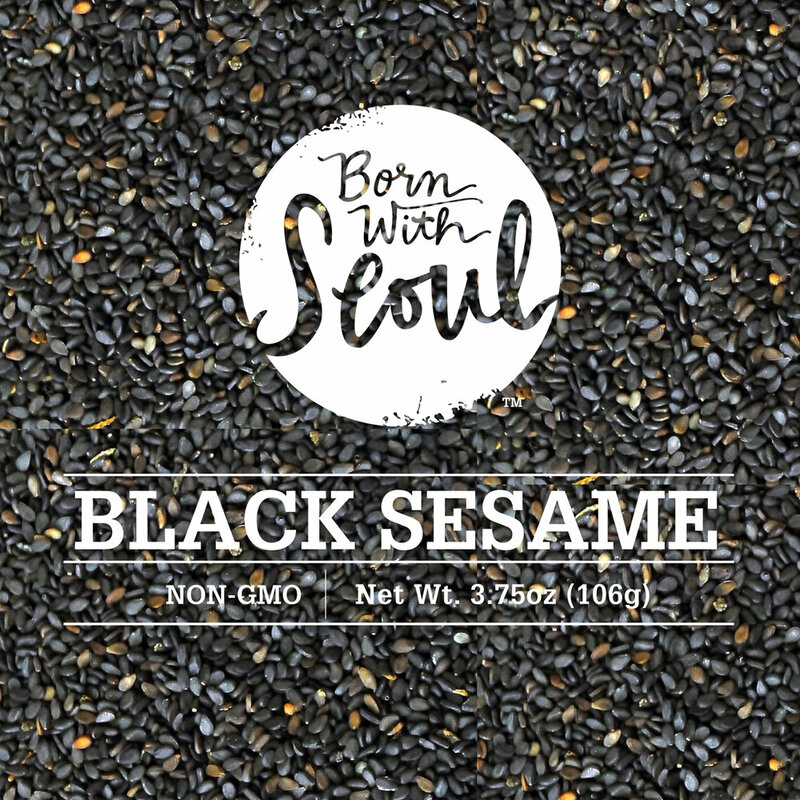 Add a dash of Born With Seoul Black Sesame for an extra pop of color and texture to every dish. Turn your back on bland and say hello to brilliant. I must buy some now! When we started dating, we ate a lot of Korean food. But something was missing. We couldn’t find good Gochujang anywhere. So we’d make it – using a recipe that Angela’s mom created. Later, after getting married and growing our family, we adapted it to make it gluten-free so that our gluten-sensitive daughter could enjoy it, too. And after Angela’s mom’s approval, we started bottling it so that everyone could enjoy this authentic Korean staple the way it’s meant to taste. Like a little bit of spicy heaven. I was born in Korea but have called Kansas City home since I was two. I’m a graphic designer, a lover of art and culture and a mom of two. So essentially, I’m a professional chauffeur. I don’t mind as long as my kids don’t mind the occasional detour for good food. If I was okay with bumper stickers, I’d have one that says “Will travel for food.” I’ve been doing this since long before the word “foodie” was even a thing. I appreciate when things are made right, flavored right and appreciated right. It’s just a part of me. And it’s one of the reasons I’m so proud to share our authentic Gochujang with you. Master of many trades, I’m a creative director, a furniture builder and a pie-maker. I also am the resident handyman, fixer-upper and dog-walker. I’m excited to bring something I’ve grown to love to the Kansas City market and beyond. Oh, if I had to pick one – my favorite way to eat Gochujang is in a lettuce wrap. I sometimes use more of it than actual lettuce. Hey, there’s no shame in a little mid-meal forehead sweat.